Time for another update for us Sherlock fans who are currently existing on the crumbs of information slowly being revealed as filming continues on the drama’s highly-anticipated third series. Production on the second episode of Series 3, called The Sign of Three, began this morning, and, naturally, we're all excited about it. Dun dun dunnnn! Of course, just because filming is now officially under way doesn’t mean we know anything more concrete about this episode than we did last week. But, thanks to the magic of social media, we’re gotten enough new tidbits to get the wheels of speculation turning properly. The Sign of Three is being written by Steven Thompson, otherwise known as that guy that ruined your life by writing last season’s The Reichenbach Fall. The episode will be directed by Colm McCarthy, a veteran of both Doctor Who and Ripper Street, as well the Inspector Morse prequel Endeavour. Curiouser and curiouser, yes? Given that the second of Steven Moffat’s three-word tease about this the direction of this crop of episodes was “wedding,” this isn’t exactly a huge surprise, but given the general lack of information about this season, it’s enough to make you want to sit down and put your ear hat deerstalker on for a think about it. John Watson does eventually marry Mary Morstan in the Sir Arthur Conan Doyle canon, but not in the story The Sign of Four, upon which this episode is based. Not that that really matters either, given that it’s not uncommon for Sherlock episodes to draw inspiration from multiple Conan Doyle originals. 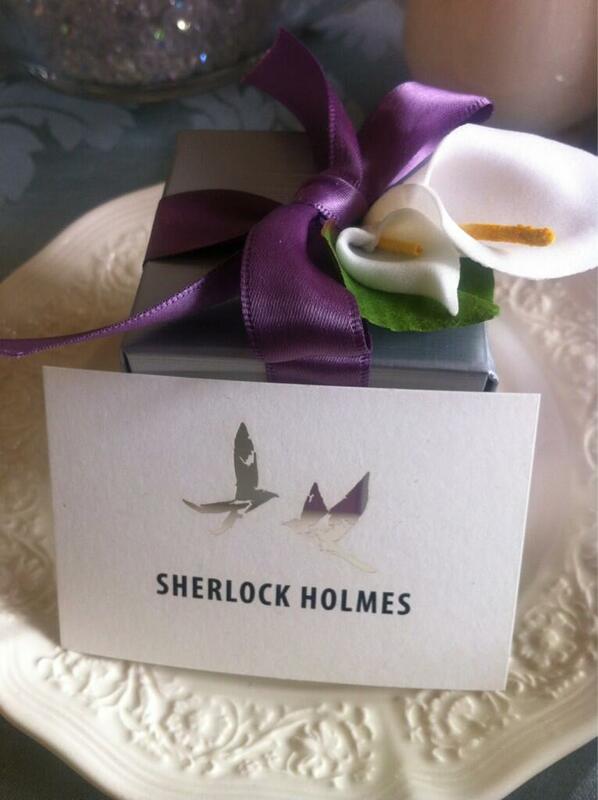 There are several other stories in the canon that involve weddings of some sort – The Noble Bachelor springs to mind as just one example – so in all actuality, it could be anyone’s wedding: John’s, some random client, heck, maybe Lestrade is getting back together with his ex-wife. It could be anything, which is part of the reason it’s fun to speculate about. Which is a good thing, because, well, Sherlock fans have nothing but time these days. If first episode The Empty Hearse is anything to go by, filming on The Sign of Three should take about four weeks. Then comes the sad part – Sherlock production will then take a bit of a summer holiday, so that stars Benedict Cumberbatch and Martin Freeman can go work on some other commitments. Freeman is off to New Zealand again for more filming on The Hobbit trilogy and Cumberbatch has like a billion movies in the pipeline to deal with, though internet gossip suggests Alan Turing biopic The Imitation Game is what he’ll be working on during his summer vacation. 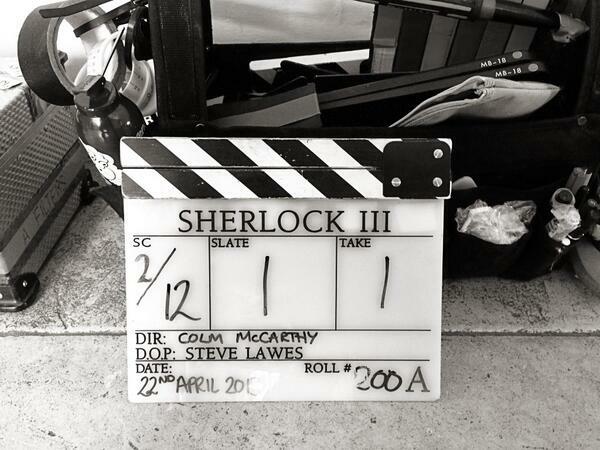 Sherlock filming will resume in late summer, when they’ll shoot whatever the third episode turns out to be. It’s a good job the Sherlock fans are already old hat at waiting, huh? At least it leaves us plenty of time to drive ourselves mad with speculation. Thoughts on The Sign of Three so far? Whose wedding do we think this is? Do the weird birds have a deeper meaning beyond simply being unattractive? Let’s discuss!